PRICES ARE ACTUALIZED BY THE RUBLE COURSE on May 24, 2015 (0.45 CPC). PRICES MAY CHANGE. REFINE AT THE BOOKING. 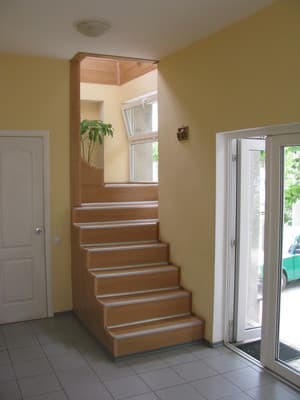 Villa "Raduzhnaya" is located 200 meters from the sea in the resort area of ​​the city. Evpatoria. Six comfortable rooms are available for rest. Each of them will pleasantly surprise you with comfort and freshness. 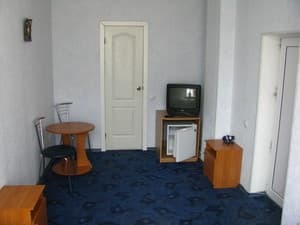 Each room of the Raduzhnaya Hotel has air conditioning, shower, toilet, refrigerator, TV, hairdryer. Constantly served by hot, cold water, Wi-Fi. 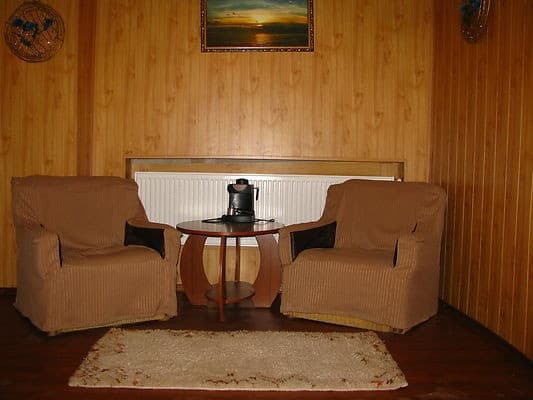 The mini-hotel "Raduzhnaya" has its own patio, barbecue grill, kitchen, washing machine, gas stove. Near the house there is a mini market. 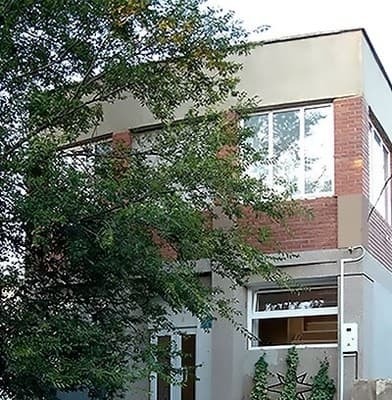 To the park Frunze - 1 block walk, to the sea 3 min. on foot. Description of the room: Comfortable room suitable for four people. Description of the room: Cozy one-room with all conveniences. 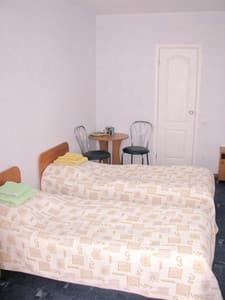 Description of the room: Two-room suite with a double bed and a sofa. Поехали на 3 дня в мае с подругой. В принципе все хорошо. Чисто, аккуратно, мило. Хорошая хозяйка. Близко расположено к морю, но от центра далекова-то, правда всегда ходят маршрутки. 10 минут и вы в центре. В общем все нас устроило. Если вы хотите ночами, когда темно там гулять, то это не лучшее место, т.к. кварталы в той части города глухие - нет фонарей и людей тоже (был еще не сезон), поэтому мы заплутали и еле добрались до гостиницы. Extra bed - 20% of the room price. 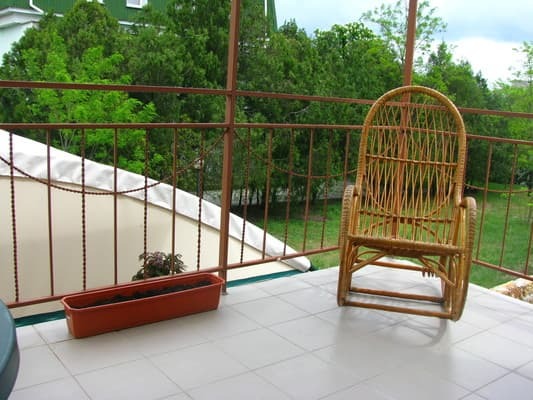 Villa "Raduzhnaya" is located 200 meters from the sea in the resort area of ​​Evpatoria. From the station to the hotel there is a direct bus No. 6.